In order to use simulation software, you need controls that provide input to it. These must resemble real controls as much as possible if you want the simulator to reflect real experience. On this page, you will find an overview of the helicopter flight controls commonly used with simulation software. When using controls, it is important to configure your software in a way that is best suited to flying helicopters. Because they are inherently unstable, helicopters need continuous input from their controls. They should therefore not have a zero zone (configured) because you want them to act immediately. Helicopters are also controlled simply by applying pressure instead of moving the control around. Accordingly, the sensitivity should be set to between high and maximum. These observations are especially important for the cyclic, collective and pedals. There are basically two options with the cyclic: you either get a control which physically behaves and looks like one or you use a joystick. The most important difference between a joystick and a real cyclic is that with the latter, the experience and the behaviour are more realistic. 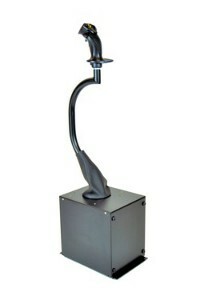 When using a real cyclic, you will make other input movements, using different muscles to those engaged by a joystick. The most noticeable mechanical difference between the two is that a cyclic is much longer and has its joint near the floor. Another important aspect is the home position of the cyclic. When flying, the 'neutral' position depends on the flight manoeuvre. For this reason, the zero position can be trimmed and set with a real cyclic. 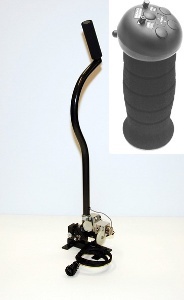 A joystick with springs centres this tool, which will make controlling the 'cyclic' hard work after a time. A remedy is to disable the springs (by modifying the joystick). Description Much used joystick and good value for money. The throttle slider can be used as your 'collective'. It also supports twist movement, however, using pedals for this input dimension is much better (and less difficult). Disadvantageous is the somewhat high spring pressure. Joystick designed with flying in mind. It has no twist capability as this input should be provided by pedals (this is a plus from the fidelity point of view). It is possible to use the throttle wheel as a 'collective'. Also a much used joystick, designed with flying in mind. One of the throttles can be configured as your 'collective'. This joystick also supports yaw control by twisting the stick, however, you should use pedals for this (otherwise, helicopter flying will be more difficult). Target audience Gaming. Aircraft simulation (gaming). Aircraft simulation (gaming). Using a real cyclic will greatly enhance your ability to get a feel for helicopter flying. There are several available, usually to serve the commercial / professional market. Ability to interchange between centre stick and Robinson "T" bar (coming soon). 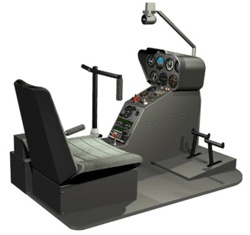 The TRC2244 Cyclic is the Flight Stick used in the TRC2244 setup (Robinson R22/R44 helicopter replica). The casing is made from aluminium which is powder coated and highly scratch resistant. The tubing is from aluminium heavy tube and is also powder coated. The internal mechanism is produced from stainless steel for long life and daily use. The Cyclic comes with a detachable left grip, which can be used in dual pilot situations. The Cyclic is connected to the CCU. It is produced from high quality materials. The casing is made from aluminum which is powder coated and highly scratch resistant. The tubing is from aluminum heavy tube and is also powder coated. For the collective control, there are basically two choices. You can use the slider that comes with most joysticks as the collective (and throttle) control. This is also the cheapest way to implement both cyclic and collective control (albeit not the most realistic one, of course). The other way to go is to use a separate control as the collective. This can be either a joystick or a control that closely resembles a real collective. As with the cyclic, a real collective control will require quite different movements. For example, you use arm and wrist movements instead of finger movements with a joystick slider. Using a real collective also gives the most realistic results. Description Professional collective. Professional collective for Robinson family helicopters. Professional collective. The TRC 2244 Collective is a replica of the collective used in the Robinson Helicopter. With twist throttle handle with foam handgrip. The Collective is produced using an aluminum casing (powder coated), stainless steel tubing and stainless steel internal mechanics. The Collective is connected to the CCU. Target audience High Fidelity Helicopter Simulation, DIY High Fidelity Helicopter Simulation, DIY. High Fidelity Helicopter Simulation, DIY. Pedals give you all you need to get realistic yaw control for your helicopter. They also give your flight experience a much more true to life feel. 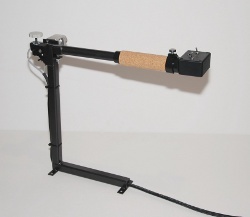 A low budget solution to implement yaw control is to use the wrist twisting movement of a joystick. However, flying helicopters without pedals is far from authentic and difficult. Description Quality industrial components and construction. Part metal construction for long life. 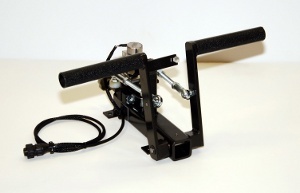 These Anti-Torque Pedals use two commercial quality hydraulic cylinders to simulate the damping effect found while in flight. They are constructed from a heavy gauge steel with a quality industrial finish to provide accurate feel and reliability. Anti-torque pedals made of all steel construction with heavy duty rod ends and sleeve bearings for long life. Friction tape included so your feet won't slip off the pedals. Z axis on self centring sliding mechanism for Rudder control. Target audience Gamers and everyone who is serious about helicopter flight simulation. Gamers and everyone who is serious about helicopter flight simulation. High fidelity helicopter simulation. High fidelity helicopter simulation. There are also packages where the pedals, cyclic and collective are combined into one system. Most of these systems can be connected to a PC using only one USB connection, and can be used with standard flight simulation software like FSX or X-Plane. The packages are usually of a much higher quality than mainstream game controllers and are often used in a commercial / professional environment. Description Complete R22 / R44 cockpit Flight Deck. High degree of finishing, very accurate reproduction of Robinson cockpit. Complete system built up from pedals, collective and cyclic. Seat not included. Fits in nicely between low quality gaming controls and professional high end solutions. Target audience High Fidelity Helicopter Simulation / DIY projects High Fidelity Helicopter Simulation / DIY projects. There is no sense in this stuff costing what it does. I'll make my own before I bow to the likes of this BS. $495.00 that's just freaking sad is what that is. Agree with previous poster. These people must be smoking crack to expect so much money for a controller with such limited software compatibilities. Demand nor manufacture do not warrant such a price tag either. Its a principal in economics called economy of scale. There ain't 37,000 virtual helicopter pilots out there buying 157 of these things a week thereby lowering the overall cost. These outfits only sell a few a year. Maybe a dozen or so if things are going well. The expense of R and D and production simply has to be carried by far fewer pilots vs the standard off the shelf fixed wing controls. Saitek, CH products and other similar players would roll this stuff out if there were a profitable market for such. That market does not exist at this time and may never due to the fact the helicopter pilots are not made easily and flying them virtually or in reality is hard as all hell. Go to your local airfield. 137 fixed wing aircraft sitting down at the one by me. About 6 rotorcraft on the property. There are simply far fewer folks who fly or give a damn about helicopters as opposed to the 8 guys in any given town who have shares in some 172 down at the local airport. AND...Lets face it. A large number of simmers probably just want to position the airplane on the active and take off. F(%$ calling ATC for clearance or going over a check list...I just want to FLY baby!! These things are high end hobby tools with a means to an end. Some of us use these things as homework for certification or simply for the fact that knowledge about your hobby feels good. I love the fact that I can do a full turbine start in a 206B to the letter and NOT have a hotstart whereas the guy next door wouldn't know what TOT stood for let alone what a collective even does. I will leave you and any others who question the expense with this. 1) These are NOT easy to build and even more expensive to put into any kind of "production run" Go ahead and try to build one on your own from scratch. Do you fully understand CAD, CNC machining, 3D print prototyping and the astronomical cost of cutting steel for the master molds once you go to durable resins used in final production? 2) Do you understand the nature of Hall effect sensors, magnetic inductance potentiometers or even simple mechanical pots and how the output data from any of the aforementioned needs to get integrated into a language your sim of choice can understand? These dudes don't forget to "carry the one" and probably did all the extra credit work in high school. Trust me. These things will frustrate the hell out of you and they, the developers and builders have graciously done the sweating and swearing for you. Believe me, I was right there with you until I started researching doing the same thing you propose. I'd rather shell out the 12 to 15 hundred US dollars for a reasonable home set up, PLUG AND PLAY mind you.... and get on with my life and my flying of helicopters and spend the month and a half of night and weekend I would have spent developing my own home version with my kids and wife. @Kevin Anders: well said... the price is high, but it all has a reason, you explained it well! I'm gonna buy some soon... it's a MUST for wanna-be-heli pilots! I flown a real R22 last week... and the simulator helped MUCH... now a better heli stick is needed to get more practicing! Keep on going the excellent good work guys! Thank you so very much for having taken your precious time to explain all those details! Yes, I am convinced that these heli sim controls producers are enthusiasts! How much easeir is to make money by opening a pizza or a kebab place! To the esteemed Developers and Producers of heli sim controls: Thank you ever so much! Does anyone have any personal experience with the high end helicopter controls mentioned above? I've decided that this is the year I am going to get my HC add-on rating (Pvt Pilot SEL) in an Enstrom F-28. I believe that a high fidelity simulator might help in my training. I know that with muscle memory conditioning, a bad simulator can be worse than no simulator. I have a moderately sophisticated flight sim set up for fixed wing and would like to add the best rotorcraft capability that I can. With the kind of money one has to spend on helicopters, anything that could leverage your training time helps pay for itself. 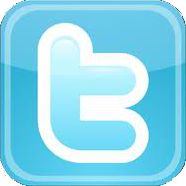 I have been trying to get in touch with you regarding this page. Our product at Pro Flight Trainer have one more time been upgraded, and I see this page is still in our 2008 status. What is the best way for us to help you update this page? It's worth the money to be able to come home from work and take a flight while the wife makes dinner. It expensive for sure, but what isn't. You get what you pay for and good stuff is spendy. If you really want to fly, for about $22000 you can buy a mosquito air or maybe even an xe, if you're a good shopper and don't mind used. You can even get an r22 for $75000, which is a great price for a two seat helicopter. Flying isn't cheap though, between the time and fuel, monthly inspections, yearly inspections, airport or hangar parking, insurance, etc., it starts to make this type of sim look very attractive. 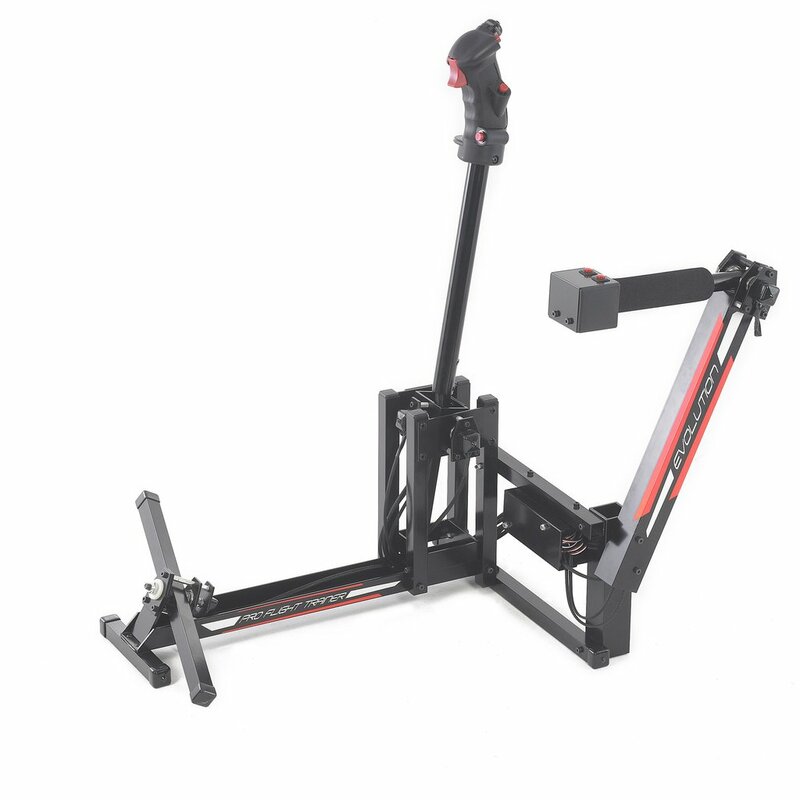 I bought an amazing sim for $1400, with a throttle collective, cyclic, seat and yaw pedals and I love it. I can fly xplane 11 and fsx, if you've read this far, you know you want one, do yourself a favor and pull the trigger, you only live once!! !